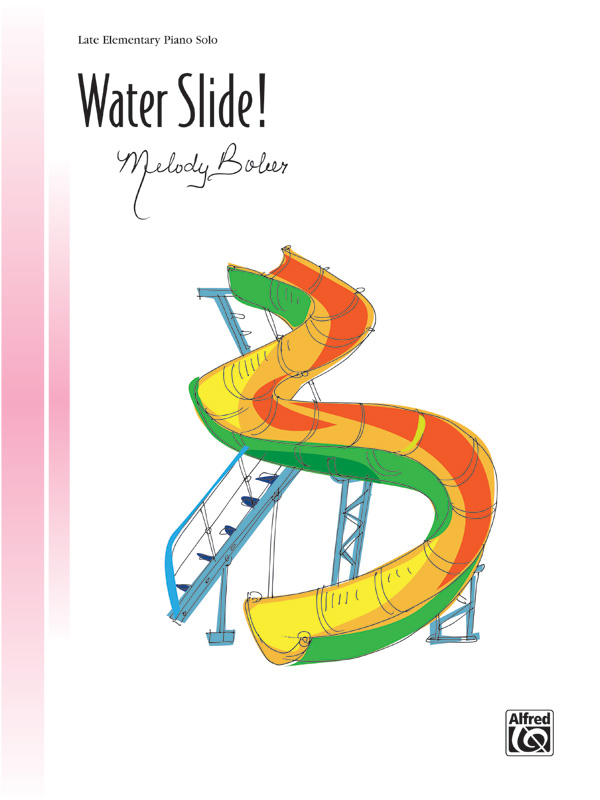 * A great way to celebrate summer is to zip down a refreshing and fun waterslide! * Now, you can relive that moment through this late-elementary piano solo. * In the key of C major, slippery descending and ascending runs give the impression of shooting up, down, and all around a twisting slide. * Alternating hands and glissandi provide an extra fun challenge for students. * Look out below, and enjoy Water Slide!